The Israeli occupation forces (IOF) at dawn Monday nabbed a number of Palestinian civilians in Occupied Jerusalem and heavily assaulted others. A PIC correspondent quoted by-standers at the scene as reporting that the IOF nabbed four Palestinian young men after having stormed their family homes in Isawiya and Jabal al-Mukabir in Occupied Jerusalem. 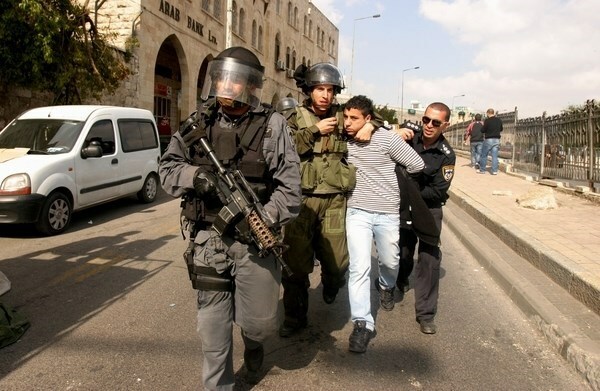 Two more youths were abducted by the IOF from Jerusalem’s town of Silwan, south of holy al-Aqsa Mosque. 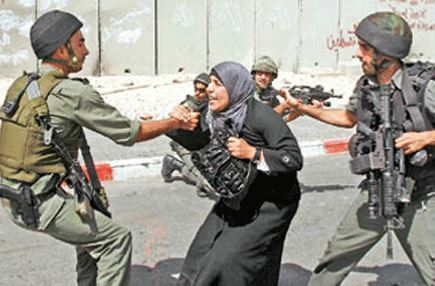 In a related development, the IOF rounded up 21-year-old Palestinian young lady Shourouk Ayman Abu Rateb, a resident of Um Tuba village and a mother of a two-year-old kid, and kept interrogating her for long hours allegedly for attempting to stab an Israeli occupation soldier at a military checkpoint pitched near the main entrance to the Shuaf’at refugee camp. Sources based at the camp further reported the subjection of the Palestinian teenager Omar Fahmi al-Zughir, 18, to heavy beating at the hands of the Israeli light rail guards. Omar’s father said the bunch of Israeli vandals dragged his son to a nearby bush before they stripped him of his clothes, and searched him in such a remarkably offending manner in the presence of a squad of the Israeli occupation police and border cops. Earlier, overnight on Saturday, a gang of fanatic Israeli settlers heavily assaulted a Palestinian civilian from Beit Hanina, north of Occupied Jerusalem, before they hurriedly walked out of the area. The Jerusalemite civilian was rushed to a hospital to receive urgent treatment for the wounds he sustained in the assault. Meanwhile, Raed Abu Bashir, lawyer of the family of Palestinian martyrs Udai and Ghassan Abu Jamal, spoke out against the mounting house demolitions launched by the Israeli occupation authorities (IOA) in Jerusalem’s Jabal al-Makbar. “Such arbitrary demolitions make part of pre-planned policy of collective punishment pursued by the IOA against Jerusalemites,” he charged. “Over 760 families in Jabal al-Mukabir are subjected to heavy fines; 280 homes are threatened with demolition and 28% of land tracts are only licensed for construction,” he further charged. He warned of Israel’s attempts to isolate Occupied Jerusalem from its geo-political milieu and crack down on Palestinian civilians via abduction campaigns and random shooting. He held Israeli premier Benjamin Netanyahu and the IOF responsible for the death of Udai and Ghassan Abu Jamal, calling for legal action against such Israeli crimes and returning the bodies of the two Palestinian men. Earlier, on Wednesday, the Magistrate’s Court turned down the appeals of lawyer Mohammad Mahmoud to return the bodies under the pretext of underway investigation procedures. For his part, Jerusalem’s Mufti Sheikh Mohammad Hussein urged the IOA to immediately release the youths’ bodies so as to enable the family to carry out the burial rituals as stipulated by the Islamic faith. “We are facing a real war waged by the racist Israeli occupation government to grab hold over Jerusalem and enforce a spatio-temporal division on Muslims’ holy al-Aqsa Mosque,” journalist and political analyst Rasem Ubeidat said. “Such felonies amount to war crimes. House demolitions are war crimes that do stand in sharp contrast with the Fourth Geneva Convention,” he added. He further spoke out against Israel’s violation of Muslims’ religious freedom via its frequent sacrilegious assaults and state vandalism on Islamic holy sites and the peaceful Muslim congregation across the Occupied Palestinian territories. Udai and Ghassan passed away following a retaliation-attack on a Jewish synagogue in Occupied Jerusalem, an attack dubbed by historiographers as a natural retort and expected scenario to Israel’s terrorism on Palestinian civilians and Muslims’ sanctuaries. Jewish settlers at dawn Sunday burned a Palestinian house in Khirbet Abu Falah, northeast of Ramallah, after they spray-painted anti-Arab slurs. Locals told the Palestinian information center (PIC) that a group of settlers tried at four o'clock in the morning to break into the house of Hasan Hamayel who was not with his family at the time. When his wife and four daughters, who were inside, refused to open the door, the settlers smashed one of the windows and tossed tear gas and incendiary grenades into the house, burning most of its interior before fleeing away. Then, the neighbors rushed to rescue the residents after they heard the women screaming. The assailants spray-painted a David star and slurs reading "Death to Arabs"and "Quick response gang" on the external walls of the house. Khirbet Abu Falah is a Palestinian hamlet located near Shilo settlement whose settlers launch systematic attacks on nearby Palestinian villages. 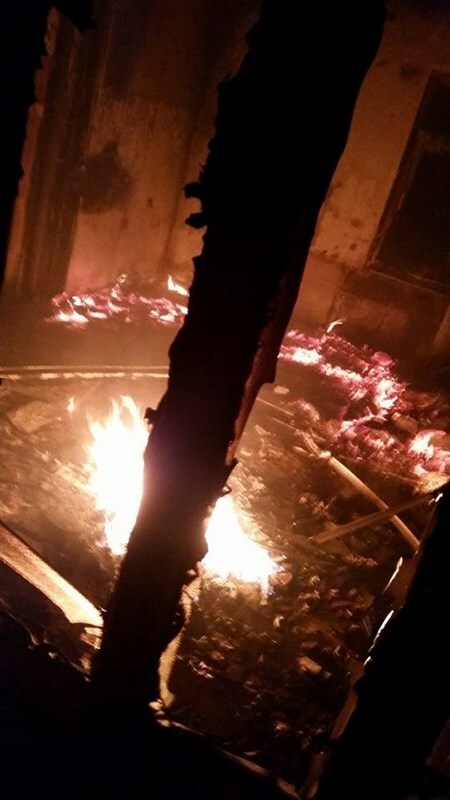 Shilo settlers had set fire to a Mosque three weeks ago in al-Mughira town, northeast of Ramallah. In a later incident, scores of Jewish settlers on Sunday afternoon attacked Palestinian cars travelling on the road to Yitzhar junction with hails of stones and empty bottles. Some Palestinian citizens in the area responded to the attackers and fired fireworks at them. Israeli fanatics march in Jerusalem chanting “death to Arabs"
Israeli soldiers kidnapped, on Sunday evening, a young Palestinian woman at a military roadblock, near the Shu’fat refugee camp, in occupied East Jerusalem. The kidnapped woman has been as Shorouq Ayman Rateb Abu Teir, 21, years of age. The Israeli army claimed the woman was kidnapped “after attempting to stab a soldier with a sharp object,” but did not provide any further information about the allegation. On Sunday at night, dozens of Israeli extremists marched in various roads and alleys of the Old City of occupied East Jerusalem, carrying Israeli flags, and posters of the “temple” while chanting racist slogans such as “death to Arabs," and slogans calling for expelling the Palestinians. The fanatics were demanding the Israeli army and police to open all gates leading to the Al-Aqsa Mosque to that they can continue to invade it. During the provocative procession, the police closed various roads and alleys to allow them to march, while keeping the Palestinians from entering the area, and in many cases, preventing them from leaving their homes. Knesset Approves $5.2m for East Jerusalem "Settlement Security"
The Israeli Knesset Finance Committee recently approved an additional 20 million NIS (roughly $5.2 million) for funding security in settlements built in occupied East Jerusalem. Estimations made by Israeli Finance Ministry place the cost of protecting each settler in these Palestinian neighborhoods amounts to approximately 30,000 shekels per year, according to Al Ray Palestinian Media Agency. The Israeli Housing and Construction Ministry claim that the additional funds are a one-time increase aimed at purchasing more surveillance cameras and other technology, and will be reduced in years to come. Funding for the security of Jewish settlers in occupied East Jerusalem has reportedly risen at a constant rate over the years, from 7 million shekels in 1991 to double this figure in 1995, and to some 51 million shekels by the year 2010. Al Ray notes that the Israeli Housing Ministry currently employs 370 security guards in East Jerusalem to protect settlers in the Old City's Muslim Quarter, as well as settlements in Abu Tor, Silwan, Ras al-Amud, A-Tur , and Sheikh Jarrah. As many as 500,000 Israeli settlers now live in various developments throughout the occupied Palestinian territories, in contravention of established international law. A number of Palestinians across the occupied territories have been targeted with live fire this weekend, with random attacks by civilians becoming increasingly common, in addition to attacks by Israeli soldiers. Israeli forces shot and injured three Palestinians participating in a weekly Friday demonstration in the village of Nabi Saleh, according to a report by the International Solidarity Movement. Yesterday, at noon, between forty and fifty Palestinians, Israelis, international activists and journalists marched down from the center of Nabi Saleh towards a water spring stolen by a nearby illegal settlement. In addition to firing rubber-coated steel bullets and tear gas to quell the demonstration, soldiers also began to shoot .22 live ammunition, a weapon which has maimed and killed multiple Palestinians, even as Israel continues to claim it as a “less lethal” way of assaulting demonstrators. Two seventeen-year-old boys were shot while throwing stones, one in the thigh and one in both the hand and foot. One Israeli soldier fired at a child under the age of twelve as the boy was running away up the hill beside the road. 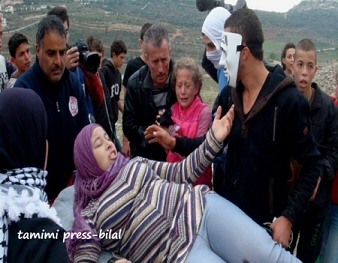 Nariman Tamimi, a thirty-eight-year-old woman from the village, was shot in the thigh at close range with a .22 bullet. She was taken away for medical treatment, where she underwent surgery, and currently remains in hospital. Another Palestinian was shot and injured by Israeli forces, on Friday evening, in the northern Gaza Strip. According to Ma'an News Agency, 22-year-old Ibrahim al-Nimnim was shot in the right foot, in the vicinity of al-Shuhada graveyard, east of Jabaliya. Ibrahim was shot after he and a group of others approached the border, setting fire to tires and throwing rocks toward the border. He was said to be in moderate condition after being taken to Kamal Adwan Hospital for treatment. Ma'an further reports that an Israeli settler, also on Friday evening, opened fire at a vehicle being driven by a Palestinian near the village of Beit Ummar, north of Hebron. 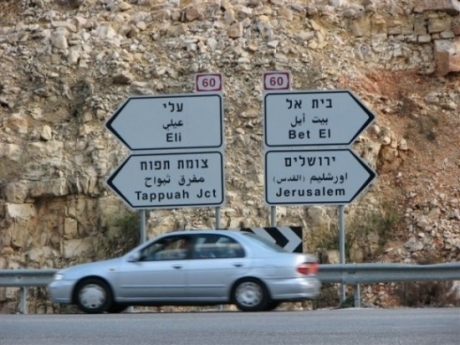 Spokesman for the Popular Resistance Committee in Beit Ummar, Mohammad Ayyad Awad, stated that an Israeli settler driving a white Citroen vehicle heading south towards Hebron opened fire at a taxi driven by a Palestinian as it sat on the side of the road. The settler's fire reportedly hit the body of the car, upon which the passengers in the car ran to a nearby gas station as the settler sped away. No injuries were reported. Awad added that a group of Israeli soldiers were standing a few meters away from the incident but did not react or try to stop the perpetrator. Two physical assaults on young Palestinians, ages 22 and 20 respectively, by Israeli settlers were also reported: one which occurred near occupied Jerusalem's Old City, at the Damascus Gate, and another in Wadi al-Maleh, in the northern Jordan Valley. Two of the settlers were detained, along with a companion of the first victim, but the settlers claimed that the Palestinians had launched the attack. In the Jordan Valley incident, forces were reported to have simply arrested the victim. Israeli forces, on Saturday, abducted one Palestinian in Hebron, in addition to summoning six others from Bethlehem to appear for interrogation, according to security sources. WAFA reports that forces stationed near the Gush Etzion illegal settlement bloc arrested ‘Ali al-Badawi, a resident of al-Aroub refugee camp. He was taken to an unknown destination. Several Hebron neighborhoods were reported to have been raided, Saturday, as forces set up roadblocks at the entrances of Halhul and Sa‘ir areas, stopping Palestinian-registered vehicles along the roads and examining ID cards. Israeli forces raided Jabal al-Mawaleh neighborhood, in Bethlehem, as well, where they served ‘Adel Jawarish, 50, and ‘Ali Salahat, 32, with notices to appear before the Israeli intelligence. They also raided ‘Aida and al-Dheisheh refugee camps, where Khaled Qaraqe‘, 54, ‘Abdalla Saqer, 45, Muhammad Badawneh, 25, and Muhammad al-Ja‘fari, 41, were served with similar notices to appear before intelligence. A round of assaults, carried out Saturday evening by the Israeli occupation forces (IOF) and settler gangs across the West Bank, culminated in injuries and arrests among a number of Palestinian civilians. A PIC correspondent quoted local sources in the West Bank city of al-Khalil as reporting that two Palestinian youths sustained critical wounds and were rushed to a hospital after they were attacked by the invading IOF troops. One of the casualties, identified as youngster Abdul Moez Majdi al-Khatib, was heavily beaten up by the IOF soldiers, in the presence of his family and neighbors, near an Israeli military watchtower. By-standers at the scene said the IOF summoned military reinforcement moments before they chained up the youngster and dragged him to a nearby military site. The IOF nabbed Palestinian youth Ibrahim Abu Shkheidem and detained five more others for long whiles. A flood of abrupt combing operations and random vehicle inspections was launched by the IOF troops deployed around Wad al-Hirya area, leading to a state of panic among women and children. In a related development, three Israeli extremist settlers heavily assaulted the 20-year-old Palestinian shepherd Helal Adel Daraghma in Wadi al-Maleh, in the northern Jordan Valley. 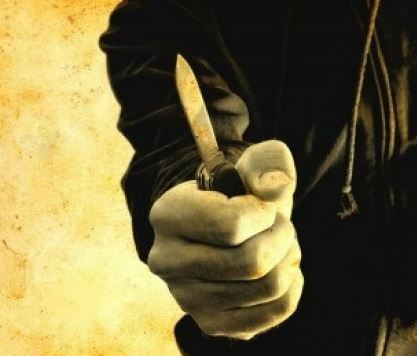 The Israeli Police apprehended, Friday, an Israeli man in Hadera city (al-Khdeira), in the Haifa District, after entering a restaurant carrying a knife, and threatened to kill Palestinian workers. The man first came to the restaurant and started shouting at the Palestinian workers, and threatened to harm them. The then started shouting at the Israeli owners, insulting them for "hiring Arabs", and they asked him to leave. He left the restaurant, but returned to the building nearly thirty minutes later, this time carrying a knife. He started waving his knife around, especially close to the Palestinian workers, and threatened to kill them. One of the workers managed to subdue the assailant, and removed his knife. The Police was called to the scene, apprehended the man, and took him to their station in the city for interrogation. A Palestinian woman has been injured, on Friday afternoon, after an Israeli settler deliberately rammed her with his car in Shu’fat town, north of occupied Jerusalem, and fled the scene. The Arabs48 News Website has reported the woman, Susan al-Kurd, 29 years of age, was leaving a local mosque when a settler, driving a white Ford, deliberately rammed her and sped away. The mother of al-Kurd said the settler saw her daughter, and sped towards her as she was leaving the mosque. Susan suffered various cuts and bruises in one of her arms, her leg, and abdomen area and was moved to a Palestinian hospital in Jerusalem. The Arabs48 said Israeli soldiers, stationed nearby, did not intervene, and that the residents were the ones who called for an ambulance. 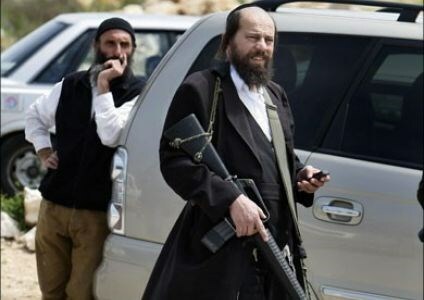 An armed Jewish settler on Friday evening opened fire at a Palestinian public vehicle near the entrance to Beit Ummar town, north of al-Khalil, in the presence of Israeli soldiers in the area. Eyewitnesses said that a settler aboard a car opened fire at a Palestinian passenger car, but luckily no one inside it suffered injuries. During the attack, the Palestinian driver and passengers were able to leave the vehicle and took refuge at a nearby gas station, the eyewitnesses added, asserting that Israeli soldiers at the scene stood idly by and did not move to chase the attacker's car. In another incident on the same day, two Jewish settlers suffered slight to moderate injuries when they were attacked with a knife by an anonymous person in east Jerusalem. 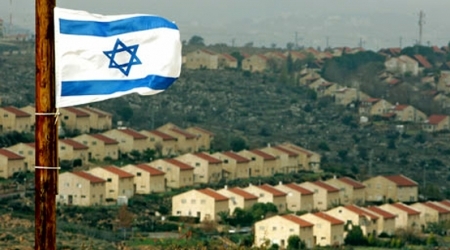 Media reports said the settlers were stabbed near Beit Orot settlement on Azzeitoun Mount in Jerusalem. The Israeli police launched a massive manhunt in the holy city following the attack. Jerusalem has been witnessing growing tension for over a month as a result of Israel's escalation of its racist measures against the Palestinian natives and its support for its settlers' violations of the Islamic sanctity of the Aqsa Mosque. 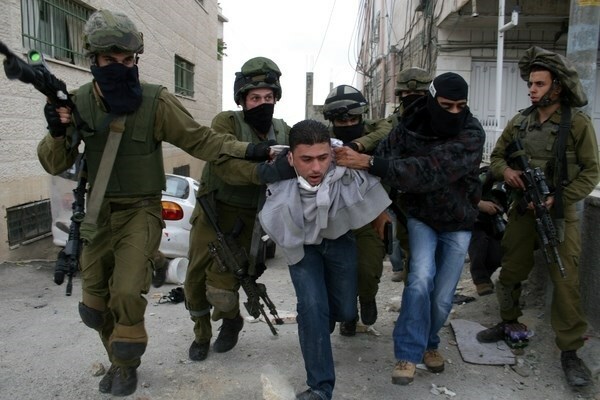 The Israeli Occupation Forces (IOF) arrested since the early morning hours Saturday two Palestinian citizens in al-Khalil, and summoned six others in Bethlehem. Local sources said that IOF soldiers arrested a young man in Aroub refugee camp to the north of al-Khalil and took him handcuffed to an unknown detention center. Also in al-Khalil, Israeli forces violently raided different neighborhoods in the city and broke into several homes. 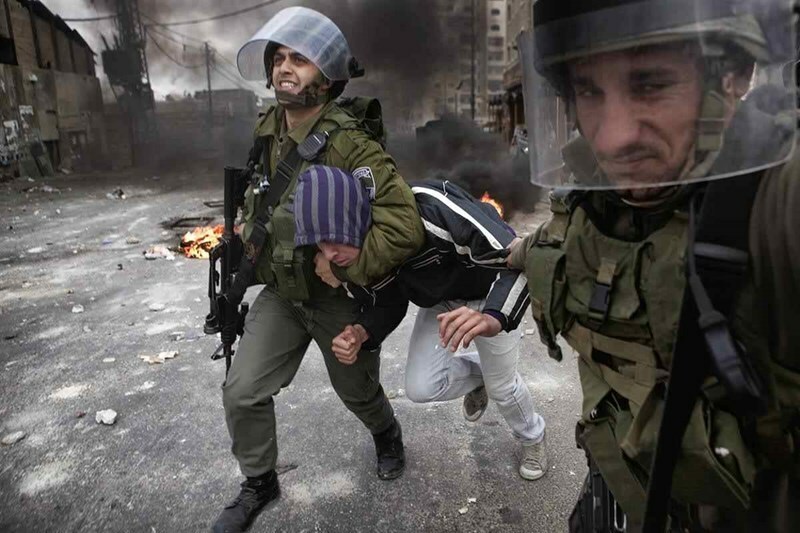 A young man was detained during the raid. In Bethlehem, Israeli forces stormed at dawn today different areas in the city and summoned six people for investigation. An ex-detainee and a former political detainee in PA jails were among the summoned people. On the other hand, a Palestinian worker identified as Shaher Yamin said that a group of settlers tried Friday to kidnap him while on his way to his workplace. Yamin told a PIC reporter that three settlers suddenly appeared while he was in his car heading to his workplace and tried to assault and kidnap him east of Qalqilia. Fortunately, the Palestinian worker managed to escape and to flee the scene. 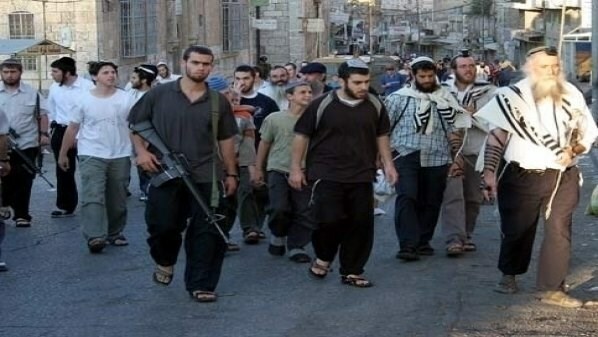 Jewish settlers’ attacks against Palestinians and their properties have unprecedentedly escalated recently, especially after the Israeli government allowed arming its settlers in the West Bank, giving a green light for more crimes and violations. Jewish settlers assaulted three Jerusalemites in their car in Masrara suburb near Bab el-Amoud in occupied Jerusalem on Friday night. Eyewitnesses said that one of the young men, 22-year-old Ahmed al-Ghoul, was injured in his eye that bled as a result of the assault by the Jewish settlers with an iron rod. They said that the settlers banged on the car’s windows prompting Ghoul to get out of the car but he was hit by the settlers with an iron rod on his head. The witnesses said that Ghoul was taken to Makased hospital while a friend of his, Fadi Maragha, who tried to help him, was also beaten by the settlers. Maragha was summoned for investigation by the Israeli police.